Another slice of Christmas with one of the stamp sets in the new seasonal catalogue. 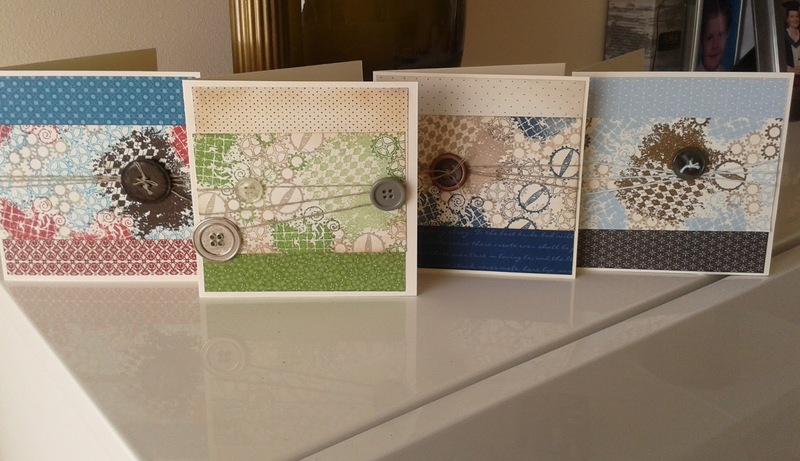 I have been looking at this all week trying to decide what colourways to use. This is the start. 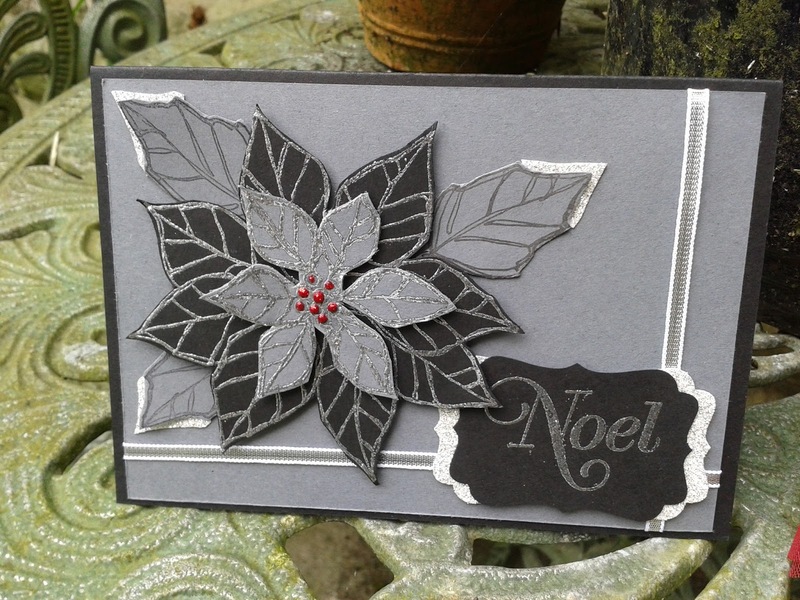 The first is in black and grey, not traditional colours but with silver to make it pop and all things sparkly coming into season I thought the result looks cool! 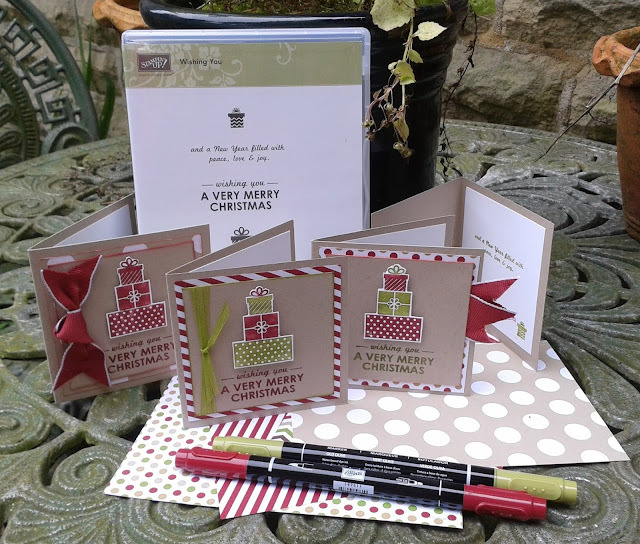 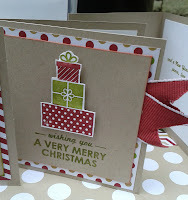 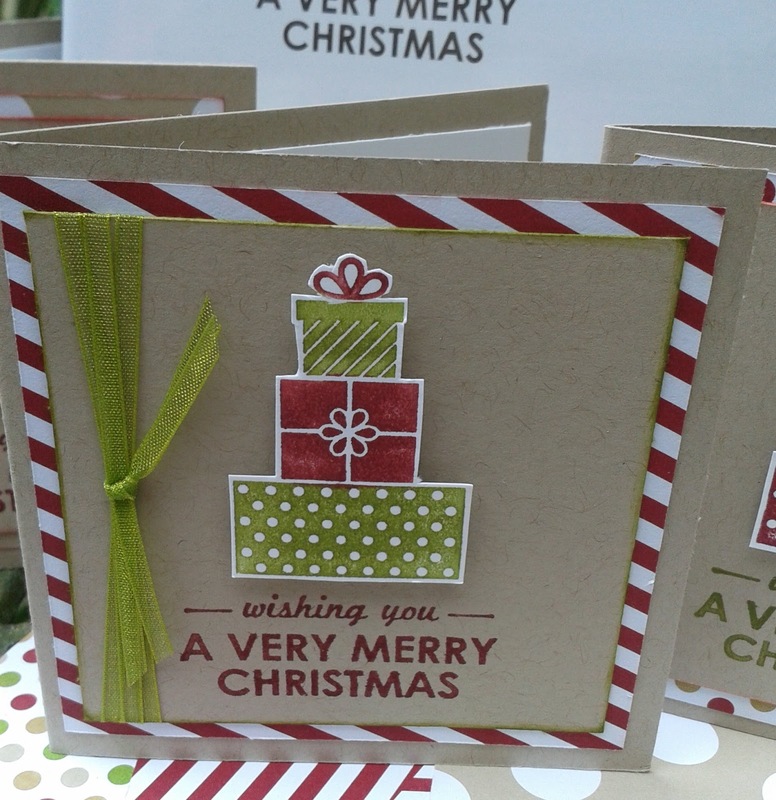 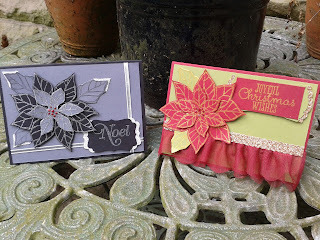 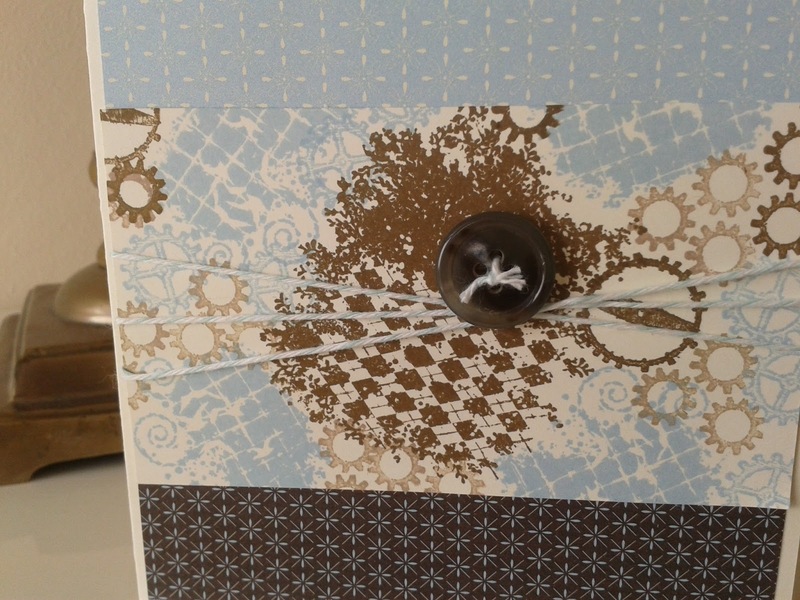 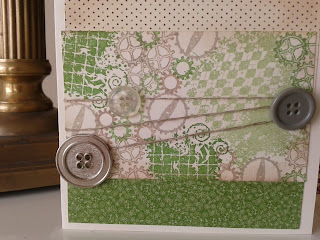 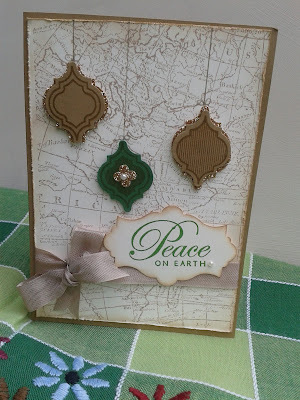 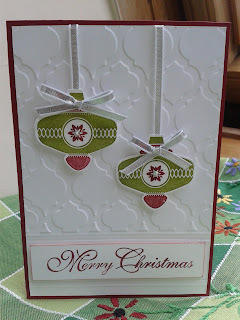 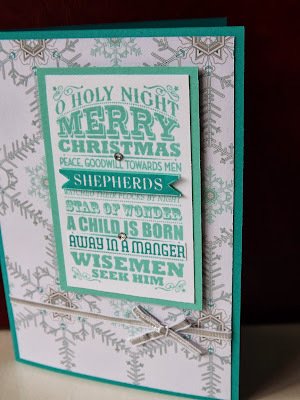 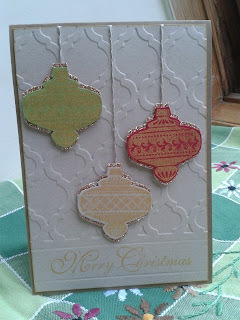 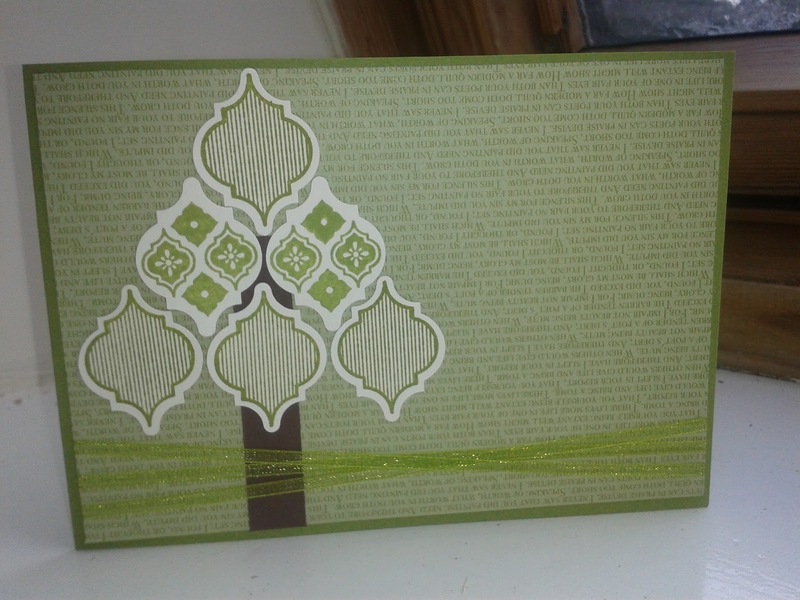 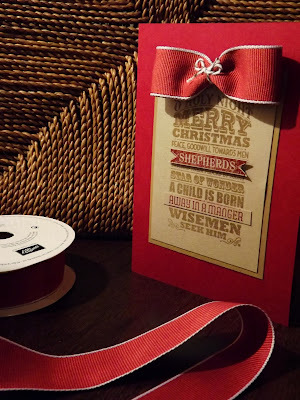 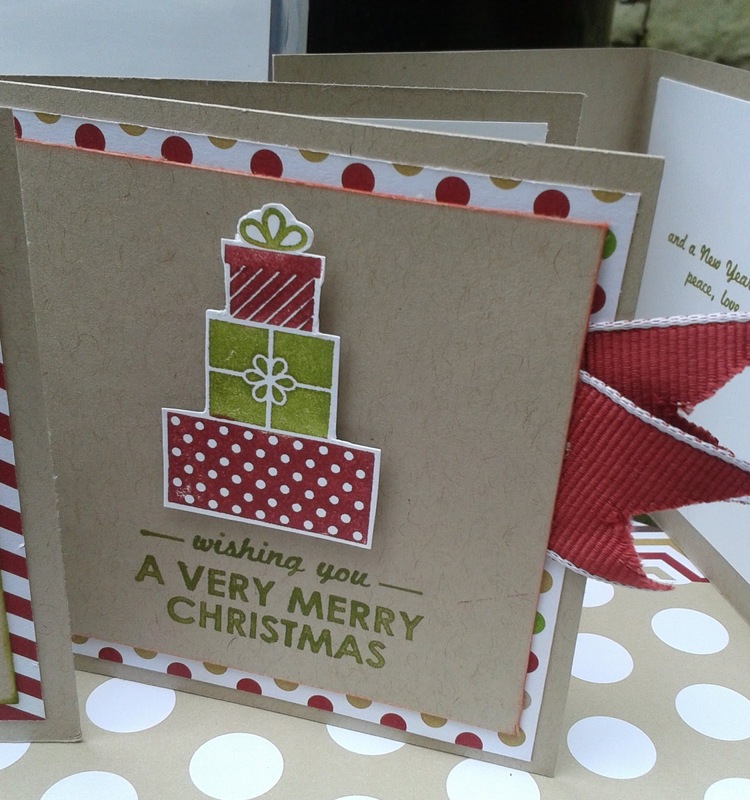 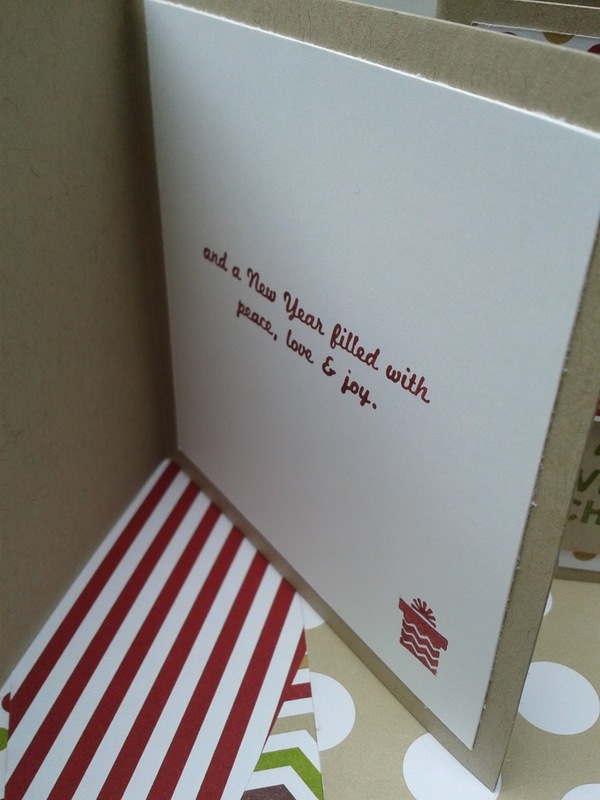 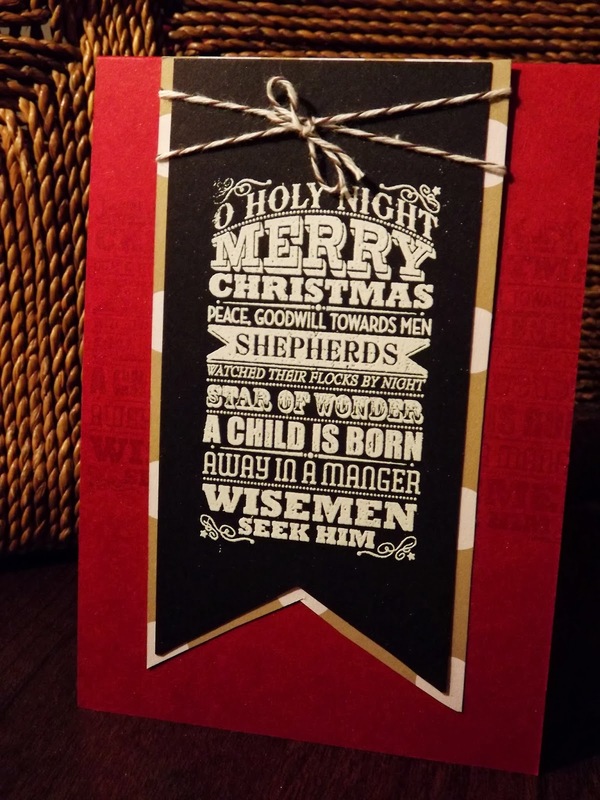 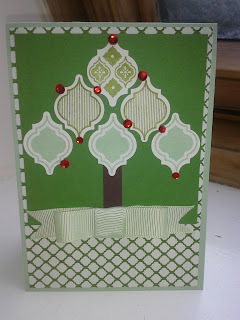 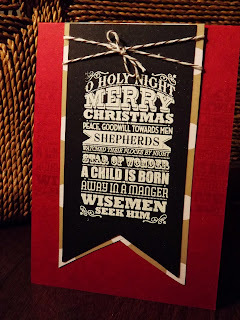 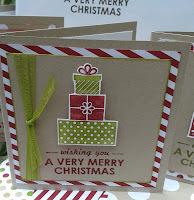 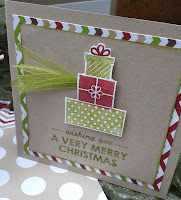 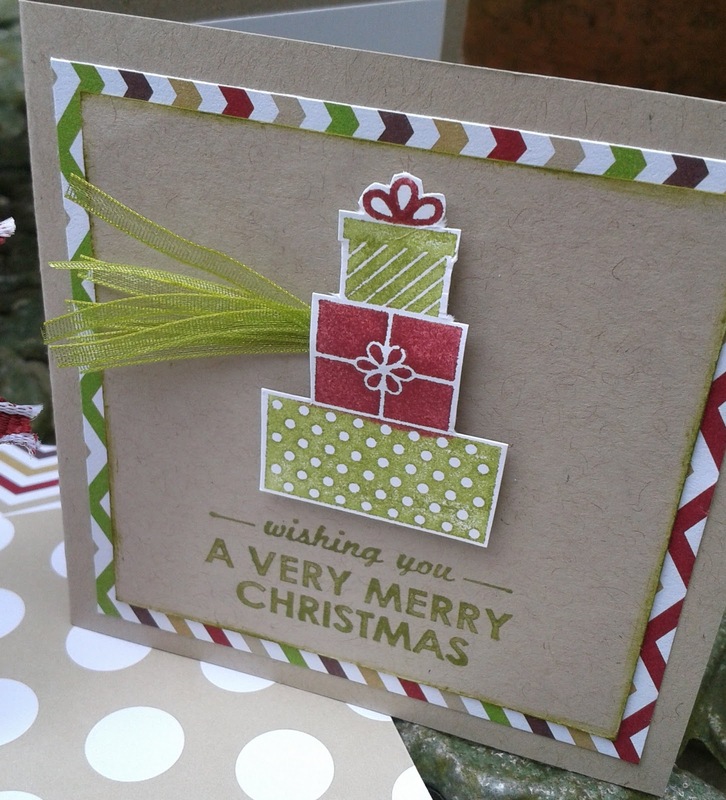 The second card is traditional red and green or 'cherry cobbler and old olive' in stampin' up! colours. 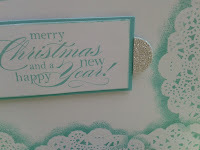 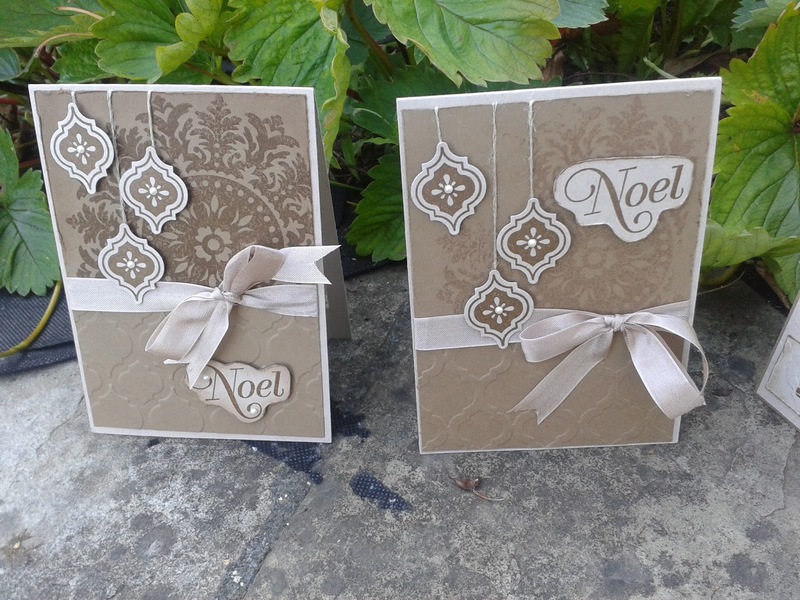 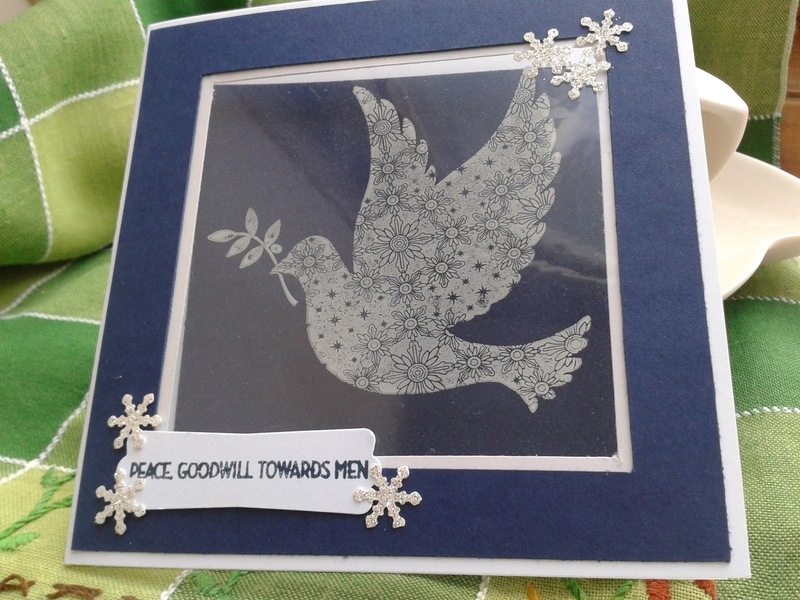 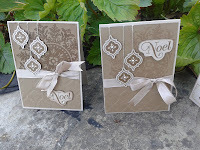 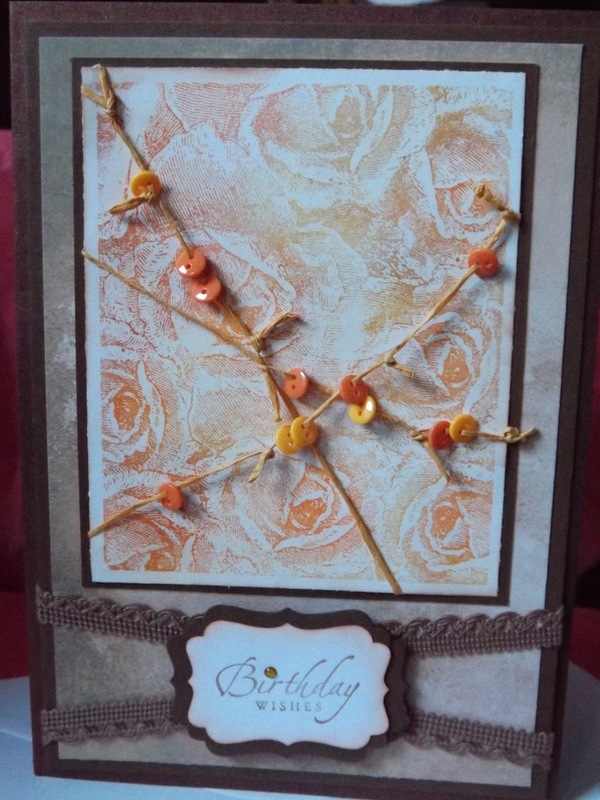 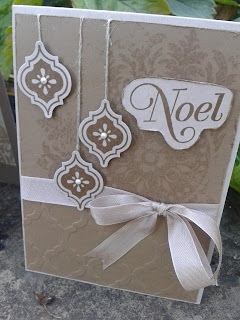 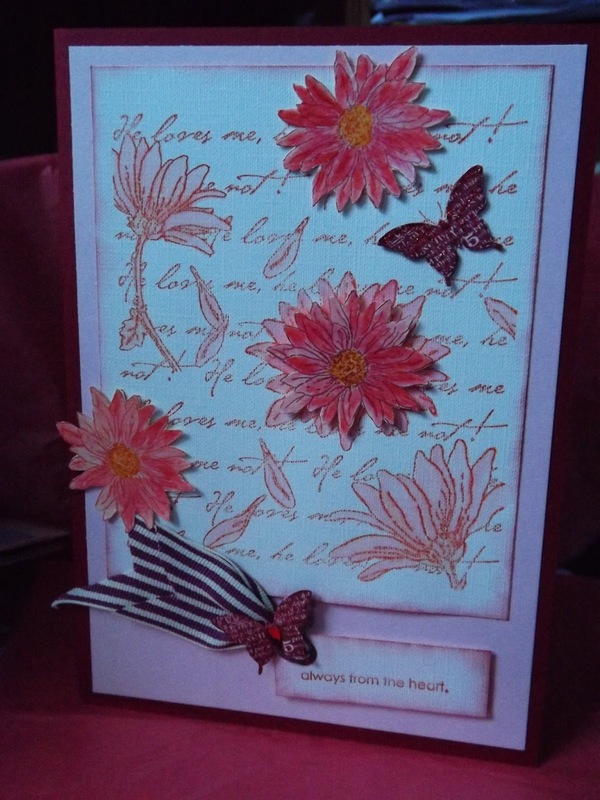 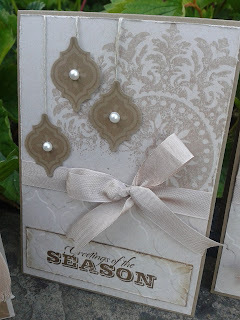 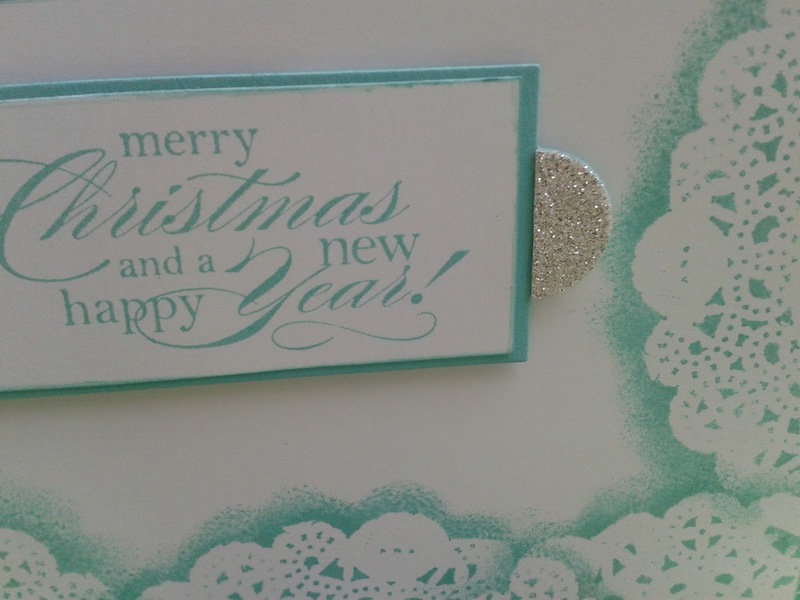 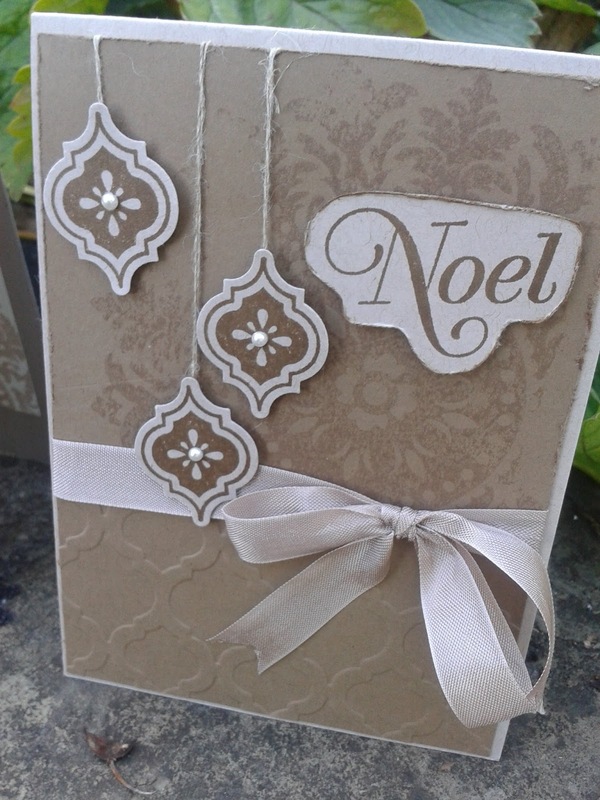 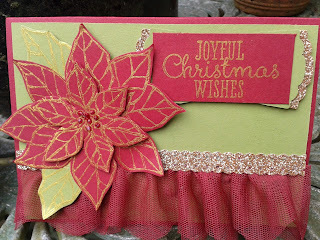 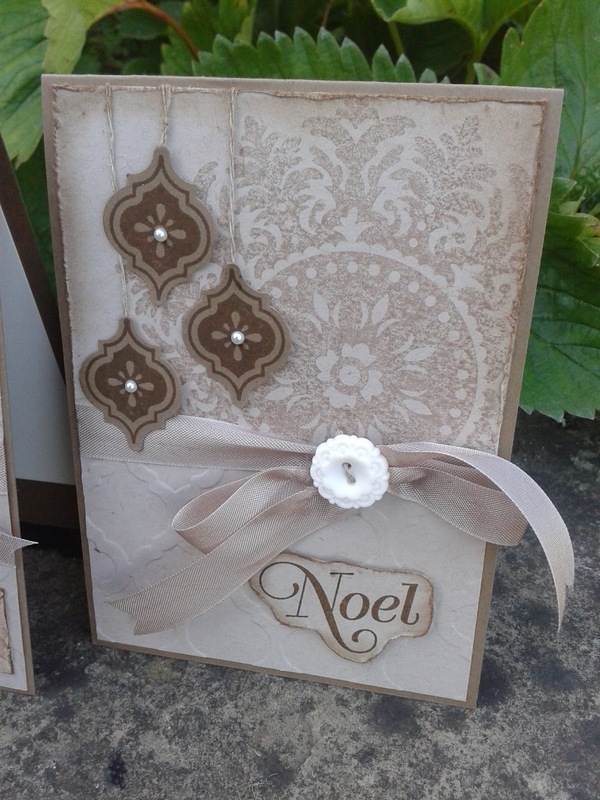 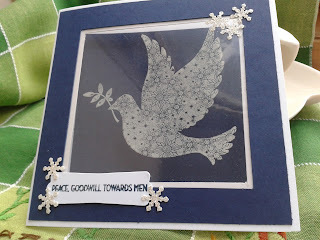 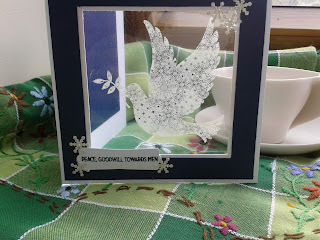 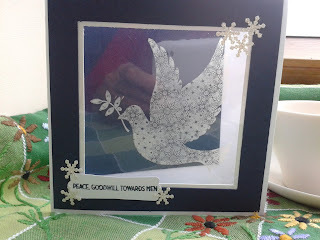 I have used the champagne glitter paper which is a delight to work with. 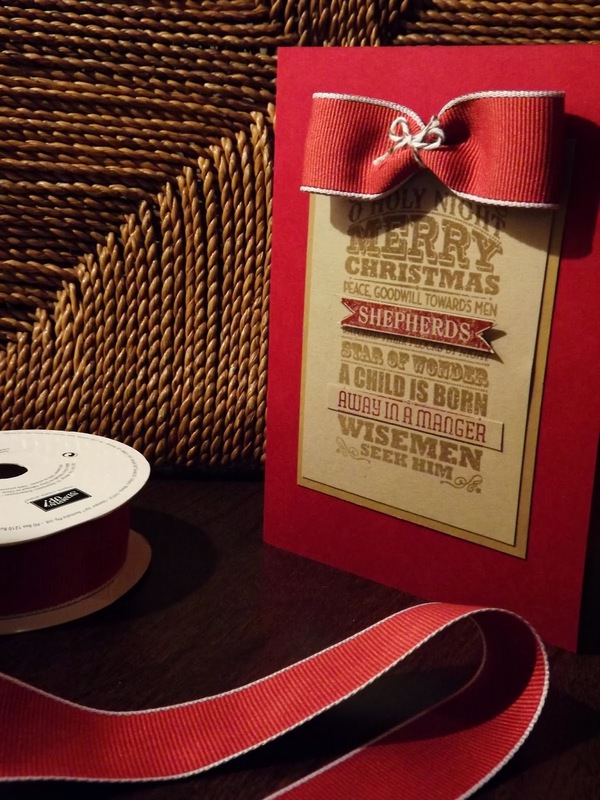 Cuts with scissors and punches and doesn't shower you with bits. 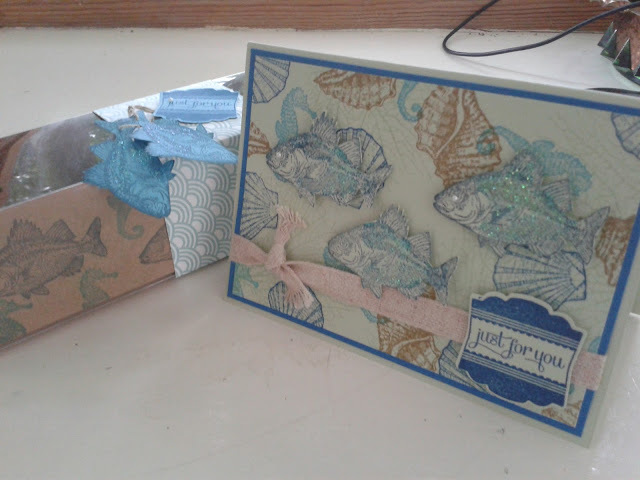 Another productive morning. 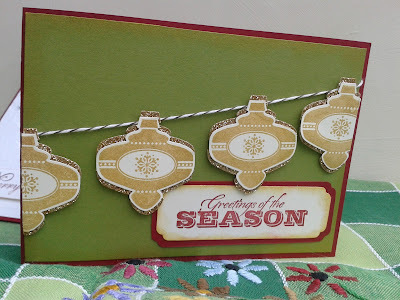 We used this set in training this month. I have added ribbon and extra layers. 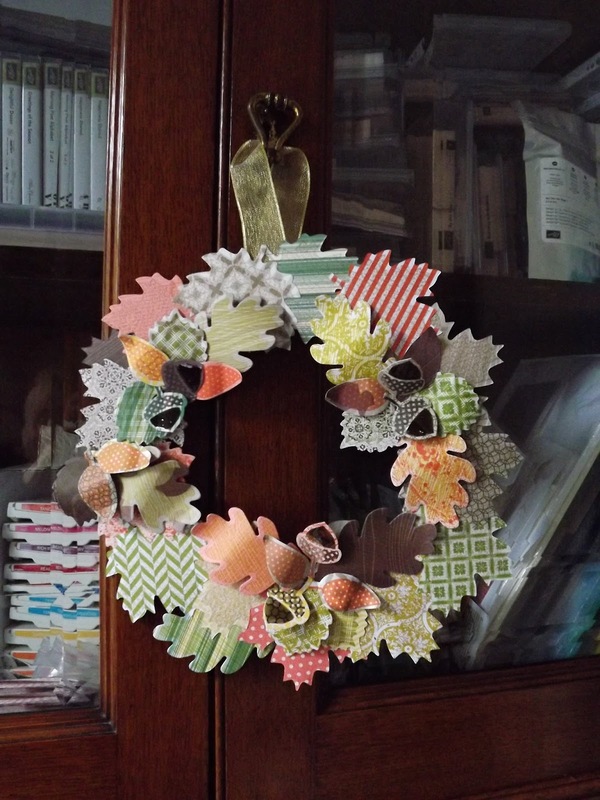 This is what we are going to make in my class on 22nd September. This is a starter level class. 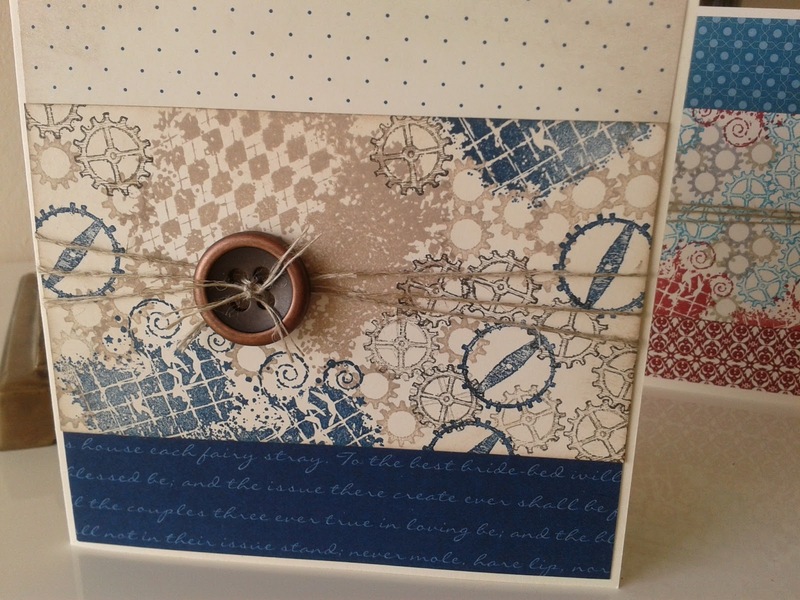 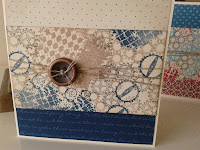 The stamp set, 1/2 pkt of the Designer series paper and 2 markers are included in the price of the class. 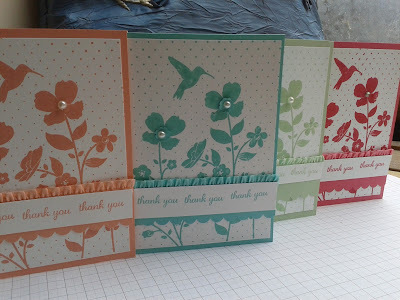 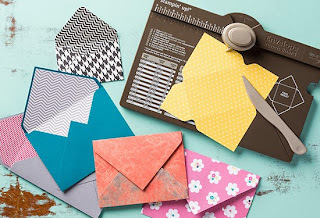 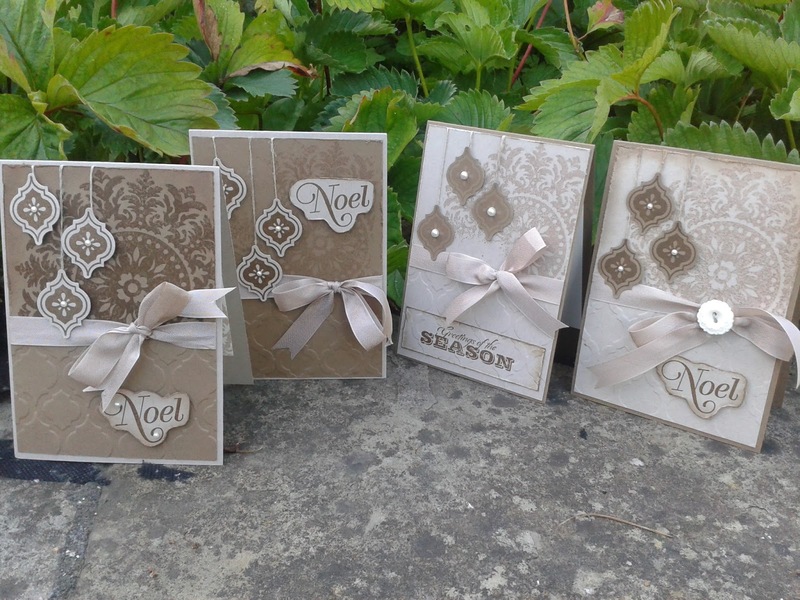 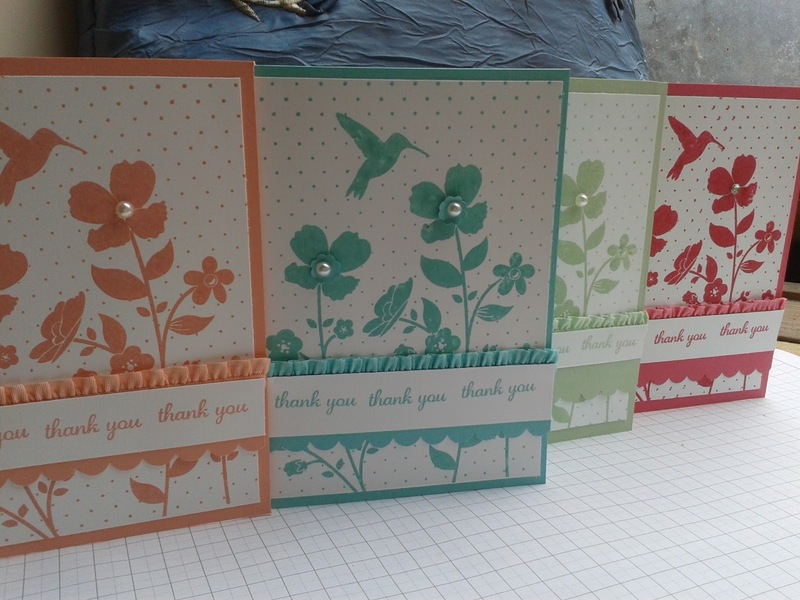 During the class we will make these four cards and you will have enough paper to make a further 44 cards! 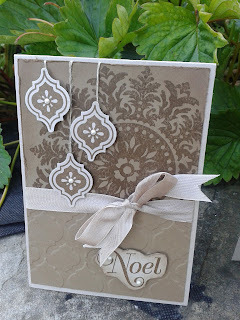 The picture above shows the detail of the Designer series paper. which side you like best to use. 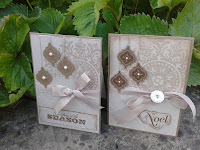 The paper is 11.4cm x16.5cm..
Get in contact to order your set or book a place in the class. 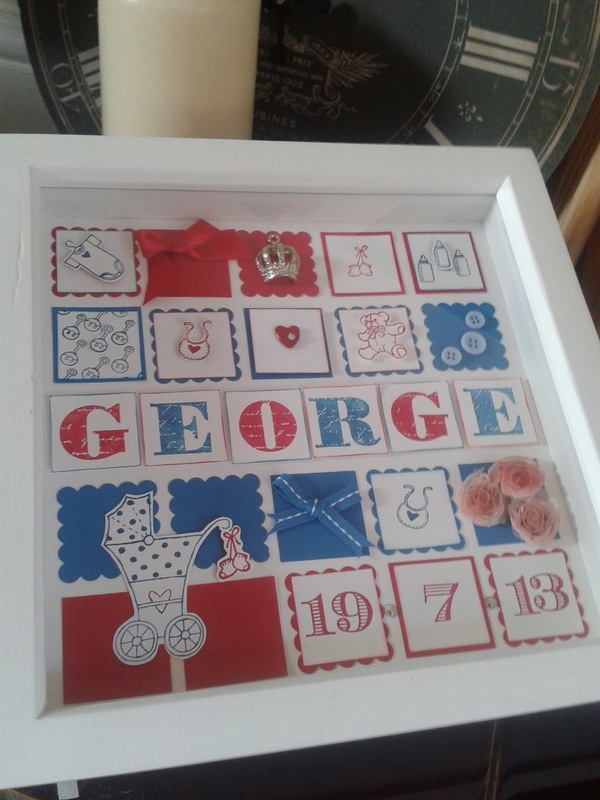 I have finally made a baby frame to be my sample. 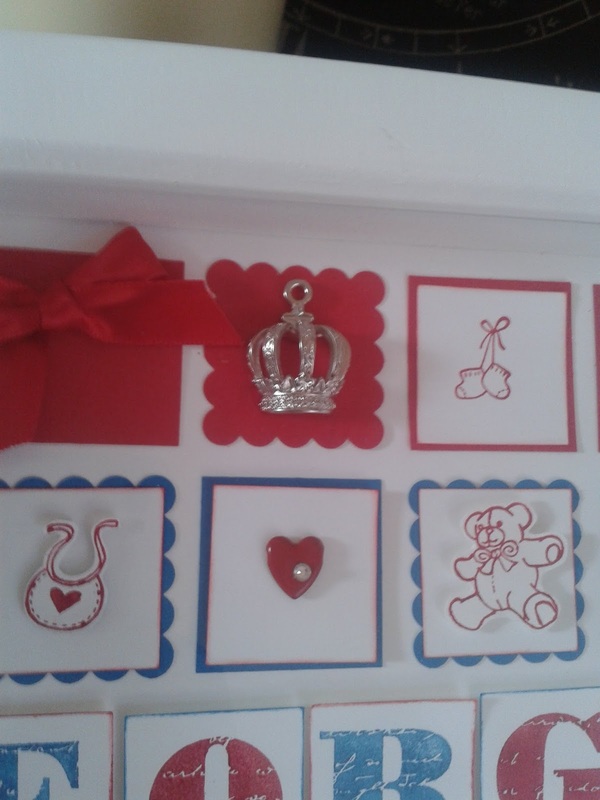 The idea came to me when I saw the coverage of the royal baby. 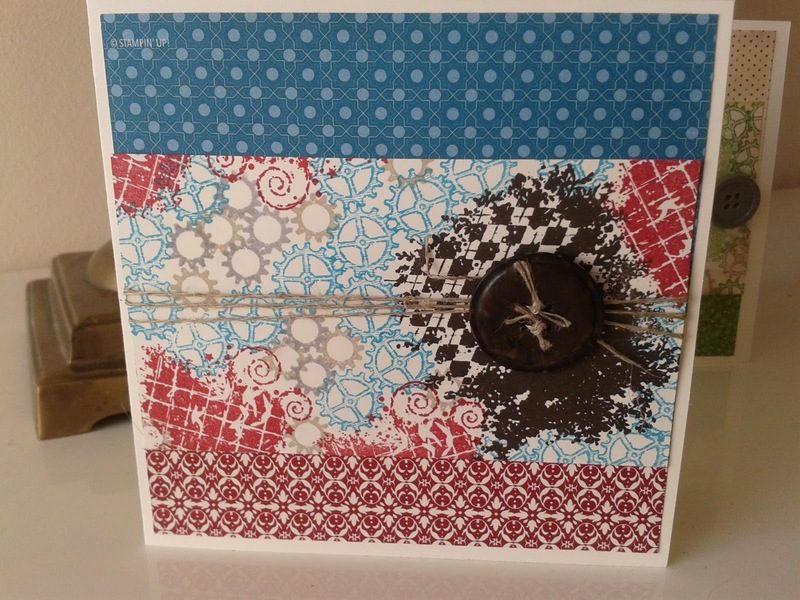 So here we have a red, white and blue creation. I really enjoy making these, rummaging through my stash of unusual bits and pieces. 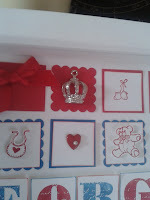 Who recognises the crown, what did you use yours on? 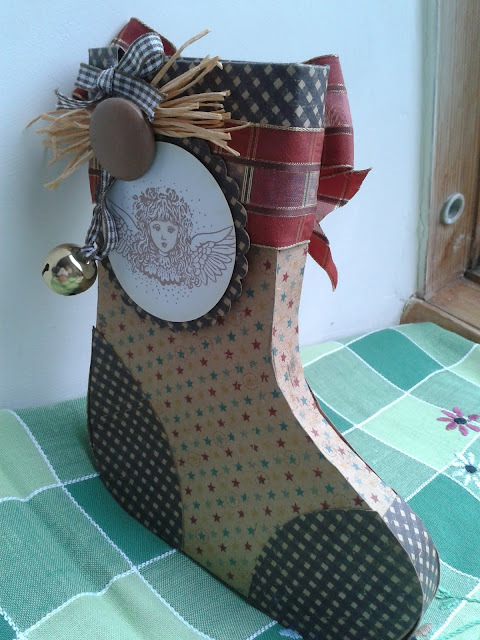 Its Christmas again today. 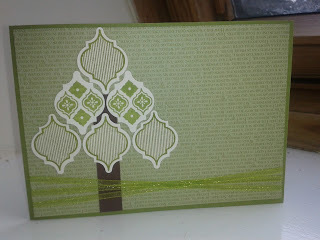 I had this inspiration at 2 o clock this morning and it stayed with me untill I got up. 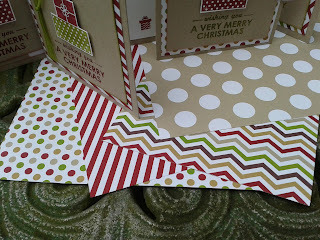 I love crumb cake and soft suade, I remembered I had bought the crumb cake seam binding and the idea went together. 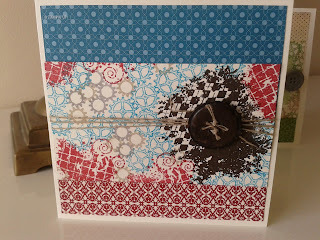 I have distressed, daubed, punched and stamped. 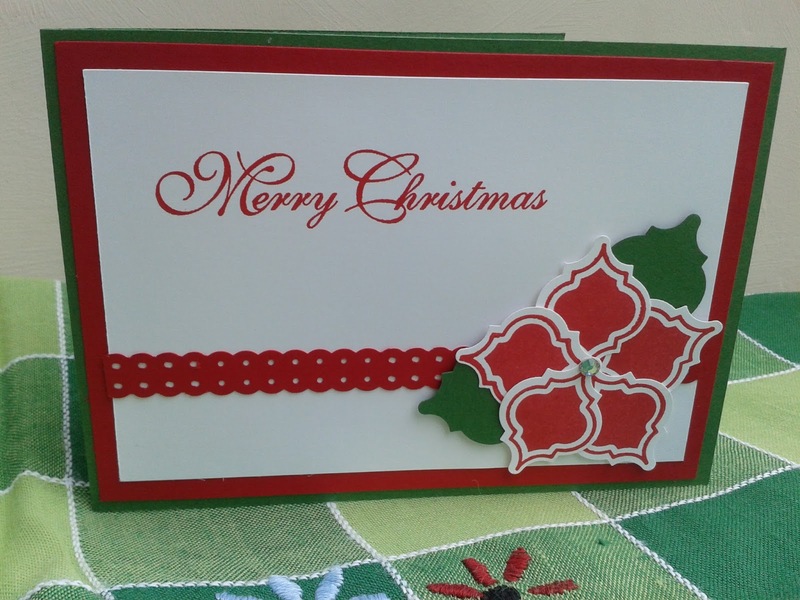 Hope you like the finished product. 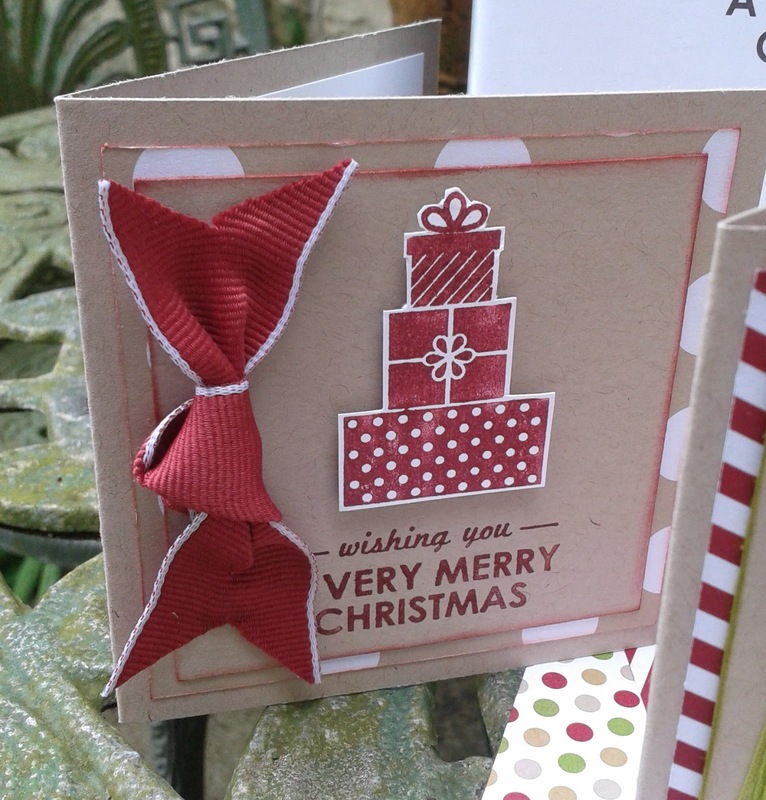 We are nearly at the end of August and creatively Christmas seems to be in full swing! 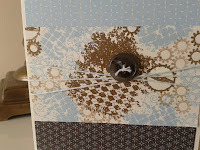 The autumn winter catalog which goes live on 1st September has been my bed time reading for a few weeks now. 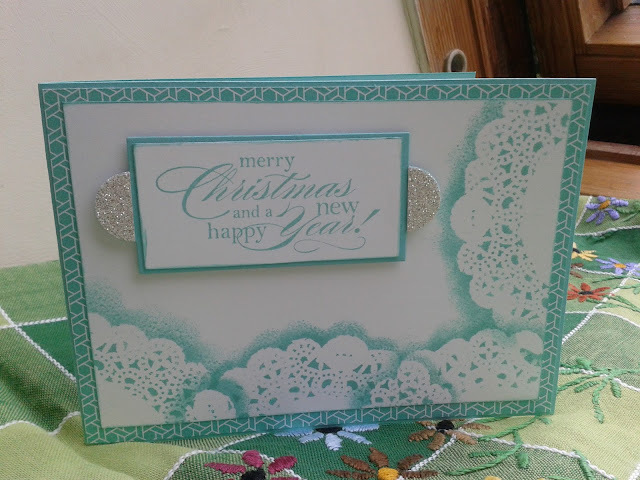 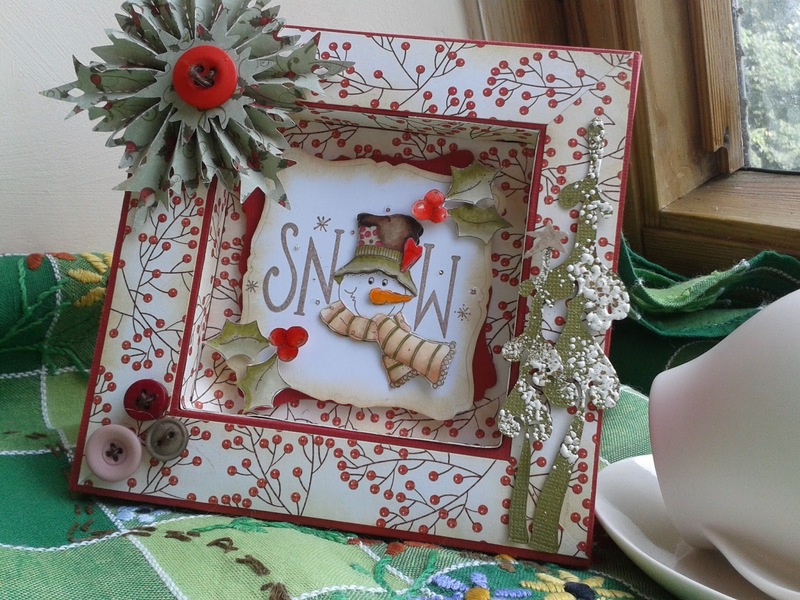 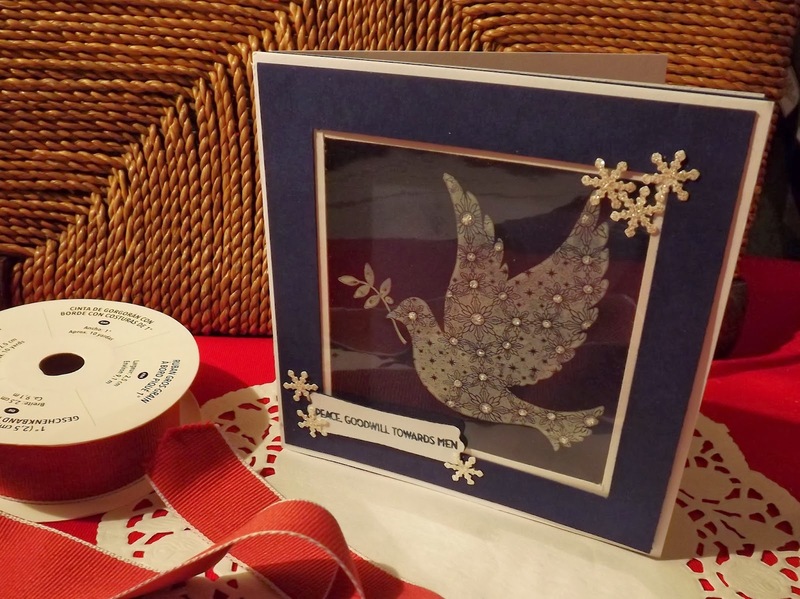 However I have used the mosaic madness set to create two Christmas cards, both are not quite finished as I am waiting for my order of the new ribbon, wonderful embellishments and seasonal sentiments. 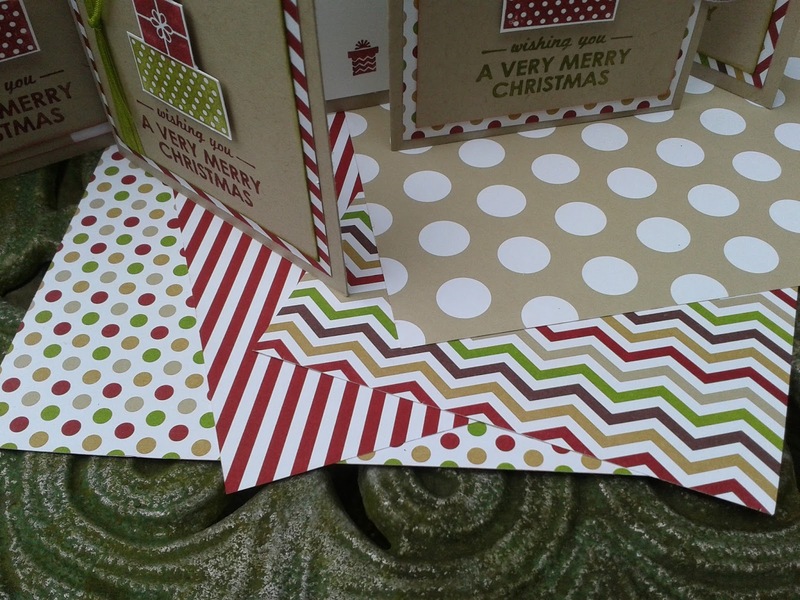 Sneak peak at the cards before completion.